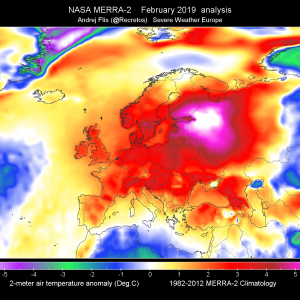 A deep trough centered over NE Europe and E Atlantic with a strong depression is entering the British Isles from the southwest. This will enhance severe wind / heavy rain threat for the region on Friday. 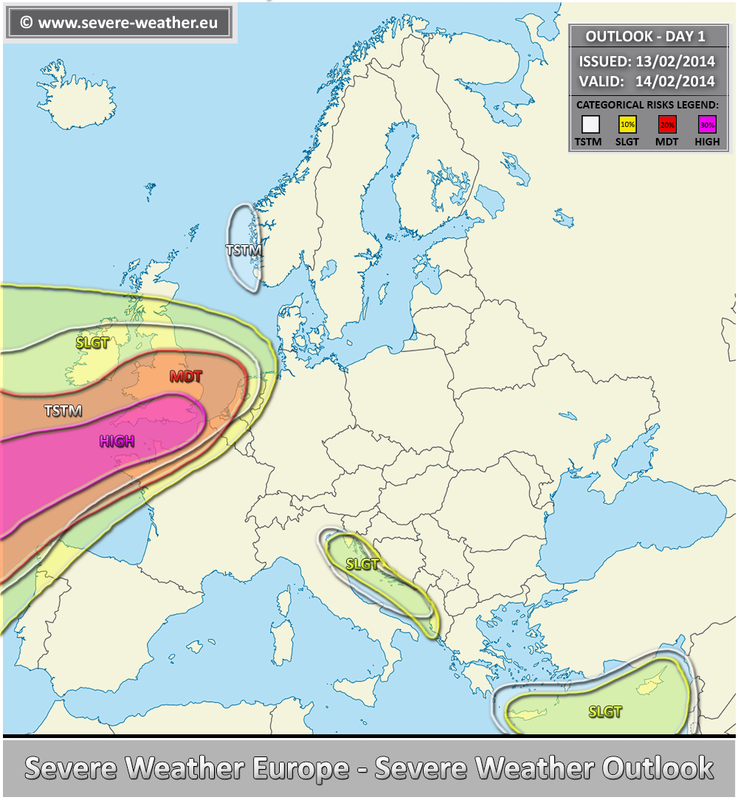 A HIGH risk has been issued for S UK, English Channel, extreme N-NW France and towards the open waters of the eastern Atlantic with threat for extremely severe and potentially damaging both convective and non-convective severe winds, tornadoes and heavy excessive rainfall. Conditions are supporting potential for some severe storms as well, given the very strong forcing, a few hundreds J/kg of instability and extreme shear overlaping over the region. Some tornadoes could be strong. 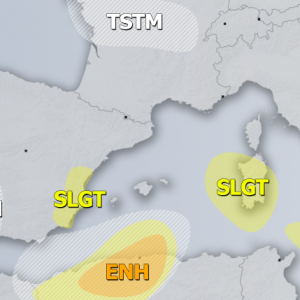 Areas included in the HIGH risk will be exposed to a very dangerous weather situation as extremely severe wind gusts well in excess of 140-150 km/h are very likely to occur, supporting high waves up to 15 metres as well. 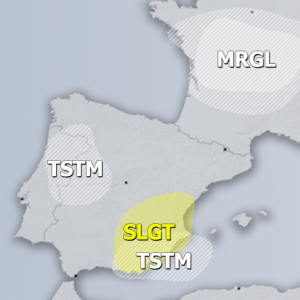 Surrounding the HIGH risk, a MDT/SLGT risks has been issued with threat for severe winds and excessive rainfall over S-CNTRL UK and NW Iberia. 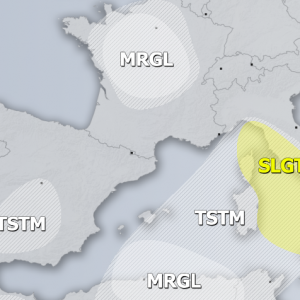 A SLGT risk has been issued for the eastern coast of the Adriatic sea with threat for excessive rainfall, strong winds and isolated waterspouts. 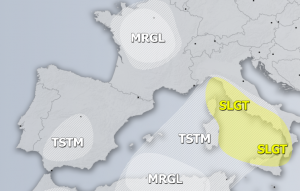 A SLGT risk has been issued for the extreme eastern Mediterranean with threat for excessive rainfall, strong winds and isolated waterspouts.